PSP Data Communications are one of the Northwest's leading structured cabling installation specialists offering data network services consisting of CAT5, CAT5e, CAT6, CAT6a, CAT7 and Fibre Optic Cabling to corporates, small offices, SME Companies and network cabling for schools throughout Cheshire, Manchester, Warrington, Liverpool, Wirral, Chester, Crewe, Shropshire, Nottingham, Birmingham and Mid / North Wales. Get a free site survey to save time and money before you embark on your network cabling installation. We offer a no obligation survey and quote to help you make a more informed choice on equipment, data points and installation. 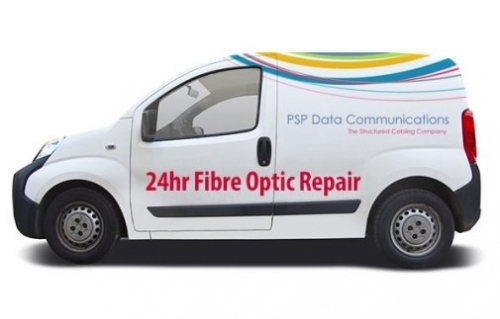 We can install OM1, OM2, OM3 and OM4 standard fibre optic cable in either internal or external environments. 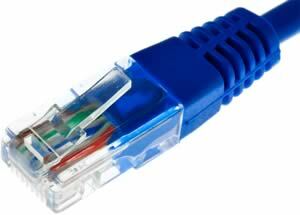 Fibre Optic Cabling 62.5/125 or 50/125 and can also either be Tight Buffered and Loose Tube Construction. 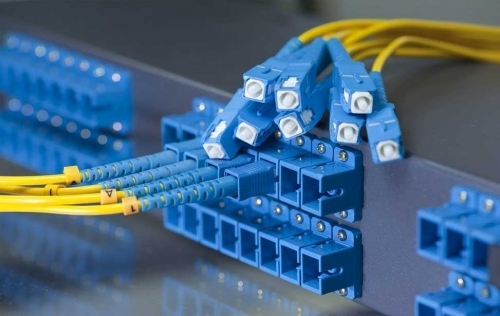 Data cable Installation London Manchester Cheshire, West Midlands and surrounding areas. Cat5e, Cat6, Cat6A & 10Gb structured data cabling and network cabling for commercial, education, government and manufacturing industries.